Everybody has a vacuum cleaner at home. Most people have upright vacuums that are heavy and don’t easily reach corners and under furniture. If you feel like you are ready for a different way of cleaning, you may find our suggestions appealing. We started out with one Miele vacuum, then bought a second one to avoid carrying it constantly upstairs and downstairs. At some point we decided to try the Roomba robot. We used it happily for the bedrooms upstairs. It made huge difference for us because we no longer needed to contort ourselves vacuuming under the beds. Recently we bought the automatic floor mop, Mint. Now Mint is the main worker upstairs where we have mostly tile and hardwood flooring. Roomba still works in the office upstairs where we have an area rug. Occasionally we would vacuum upstairs with the canister vacuum if we need the job done in 20 minutes. Downstairs we still use Miele because we have lots of rugs and it is much faster than Roomba. Here we review the four cleaning machines we have used. 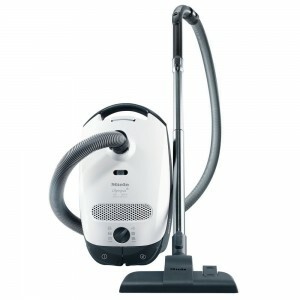 Miele brand makes very lightweight vacuum cleaners. Not only they are lightweight but you just need to move the handle to clean and don’t drag the whole vacuum with each move. When you need to go to a new area the vacuum glides behind on wheels. It is incomparably easier to clean compared to standard heavy upright vacuum cleaners. The floor cleaning tool makes possible cleaning under furniture and in corners. It effortlessly transitions from smooth floors to carpeted surfaces with a quick click of the rocker switch. If you have tile, hardwood floors, rugs or low pile carpeting in your house, Miele Olympus can make a big difference in the way you clean. For medium pile carpeting Miele offers more options. A few of them are Miele Capri, Miele Delphi, and Miele Titan. The floor tool in these versions has a turbobrush as well. For all that Miele has to offer you can go to their website. We have two Miele vacuums in our house: one upstairs and one downstairs. With those we can clean the stairs as well because they are so light and easy to carry. German engineered and made, Miele canister vacuums are of high quality, lightweight, and unsurpassed ease of use. Hoover Linx is a perfect touch-up vacuum. Being powerful and lightweight, it is the best cordless vacuum on the market. It has a Lithium Ion battery which provides strong suction without fading. There is a battery charge indicator that shows how much energy is left in the battery. When it is completely discharged the vacuum cleaner stops abruptly. This is a good thing because the cleaning power remains constant the whole time. Other stick vacuums usually lose their power gradually as the battery discharges and don’t clean much at the end. Rechargeable lithium-based technology currently provides the best performance. The batteries have a high power density that gives you a long battery life in a light package. And you can recharge a lithium-ion battery whenever convenient, without requiring a full charge or discharge cycle. The only thing you have to remember is to not store the battery in the charger because it will ruin it. Linx is capable of cleaning tile, harwood floors, rugs, and carpets. It has a switch that turns on a motorized brush for cleaning even thick carpets. See it below in action. This is a bagless vacuum that is very easy to clean. The amount of time it works on a single charge varies depending on whether or not the brush is on. We bought Hoover Linx for one of our mothers. Hers lasts for about 15 min. on tile/hardwood floors. When we visit we use the vacuum for quick clean-up in the kitchen area after meals. We also go around the house to clean the heavy traffic areas when we have more visitors. If you live in a small house or apartment you may even be able to use Hoover Linx as a main vacuum. Just get a second battery. Hoover also makes a handheld vacuum which uses the same battery. 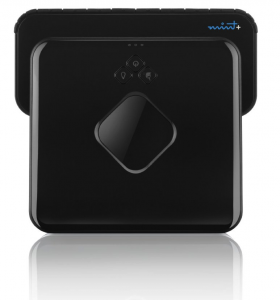 If you have heard about another automatic floor mop called Braava you should know that it is not anything different. Evolution Robotics is the company that created Mint. It was later bought by iRobot. The latter offered Mint for awhile and now changed its name to Braava. It is the same old Mint with a new name. Their prices don’t differ either. And Mint is now offered once again with the name Evolution Robotics attached to it. Mint Plus 5200 is a wonderful solution for clutter-free houses and floors ideally without area rugs. It is very quiet and works fast. The less obstacles it has to avoid, the faster the cleaning is. In order to maximize on its cleaning abilities you have to move chairs and other small obstacles out of its way. We always do that in the kitchen and it cleans perfectly covering all the area. Mint uses NorthStar navigation cube for guiding. We have a piece of furniture in a middle of a wall and Mint always cleans on both sides of it. Without the cube it will not know that the room continues beyond the furniture. If you are planning on buying Mint and expect yours to work like the one in the commercial you have to tweak the procedure a bit. Mint uses two types of cleaning cloths for its two cleaning modes. The white cloths are to be used dry in SWEEP mode. This is the mode you see used in the commercial where Mint is moving in straight lines and it looks as if the path cleaned by the robot is sparkling and wet. But this sparkling cleanliness will not happen if Mint is used in sweep mode. It will happen if you use the wet blue cloths in MOP mode. But then the robot will not move in nice straight lines but rather back-forth for deeper cleaning. This will slow it, of course. We discovered that to make Mint move in straight lines with wet cloth we just needed to put the wet blue cloth very tightly on its pad (the reservoir one) and use the SWEEP mode. We achieve the tightness by folding one side of the cloth inwards a bit; if it sticks out of the velcro strips it interferes with the sensors in the middle of the pad. Cleaning with dry cloth in sweep mode is more like collecting dust and hairs and pushing them around. It is great if you have a lot of those and want them piled-up for easy removal but for hair-free floors the wet cloth is much better. We don’t fill the reservoir pad because our floors are fairly clean and we found that if the blue cloth becomes too wet the robot starts to struggle and can’t move further. Before we bought the Mint we read every single review on Amazon trying to find one that is not coming from a pet house. The problem is that if you live with a pet then there is a lot of pet hair on the floors and you are not so picky as to whether all of it is removed or not. Our house is fairly clean and we wanted to know if Mint will match our standards. We did not find the review we were looking for but took the plunge and bought Mint. We are really happy with the way it cleans our house. It is as good as the manual vacuum as far as removing lint and dirt off the floors. We don’t have large particles on the ground, which Mint not being a vacuum obviously can’t pick. In such cases, you will need to vacuum first. Unlike Roomba, Mint does not have virtual wall devices. This may be a problem for large areas without doors. But there is a solution. You can simply pause the robot, clean the cloth and restart. It continues moping the rest of the area. Mint considers walls the very small borders between tile and hardwood. We have such borders between the tile in the kitchen and the surrounding hardwood flooring and thus we can clean just the kitchen. Rugs and carpets are also considered a wall and Mint never goes there. Also just like Roomba, Mint will sense the stairs and avoid them. For one large area with no borders (between connected rooms) we put Mint in the middle. It always cleans on its right first and when it finishes that part we just stop it. After washing the cloth we put the robot back in the middle but now facing the opposite way to clean the other part. Mint can also be used with standard Swiffer disposable pads in mop mode. We got our Mint Plus 5200 with a turbo charging cradle which charges it in about 2h. Without the turbo charger it takes about 4h. Unlike Roomba, this robot does not self-park at the charging station. It also cannot be scheduled. All this is understandable as a person needs to tend to it anyway. Do not wet the white cloths that are meant to be used dry with the multi-purpose pad in sweep mode. The motor will not be able to move Mint properly. If you want to use wet cloth in sweep mode: fold inwards the blue cloth when attaching it to the velcro strip on the reservoir pad. This ensures that the cloth is pulled tight and will not slide back-forth to interfere with the robot’s smooth movement. Wash the blue cloth after each room. Do not fill the reservoir of the reservoir pad if your floors are not covered with grime or pet hair. If the cloth is too wet the robot cannot move properly. Remove as many objects from the floor as possible. Too many chairs will surely confuse Mint and it will miss spots. Mint does an excellent job mopping floors with medium amount of dirt and no large particles. It is quiet and fast, and can be used in all rug-free areas of the house. Roomba, like Mint (or Braava) is again heavily marketed to pet owners for cleaning pet hair. But it works great for floors without pet hair too. Actually, it works better if it is not overwhelmed by dirt. Pet owners with a lot of pet hair are not very happy with this robot. But those with moderate amount of dirt declare that they had made the greatest purchase of their lives. Before Mint, our Roomba 650 was cleaning the bedrooms and the home office and was doing excellent job. It was doing as good a vacuuming as us with the manual canister vacuum. It follows the walls and cleans in corners with its extended rotating brush. Now Mint took over all areas of the house that have hardwood floors or tile. Mint is just a mop but has the advantage of being much quieter and faster than Roomba. But Roomba can go on the rugs and this makes it more versatile. 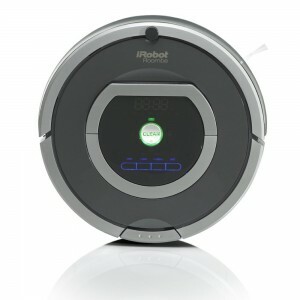 Thus, Roomba is a good vacuum for certain areas of the house: bedrooms with rugs, basement, kitchen. In order to clean a whole house you have to tolerate its noise for a long time and clean and recharge it 2 -3 times. Roomba, unlike Mint, has virtual wall devices which draw invisible line that the robot does not cross. This is useful for large open areas to limit the area and improve the quality of cleaning. Therefore, Roomba is good for cleaning one room or area at a time. It definitely benefits from emptying the dust bin after each room. This ensures that there will be no dust bunnies scattered around by the robot. Roomba, like Mint, has sensors that detect stairs and avoids them. But these sensors also make it think that black rugs are stairs and it gets confused on those. Too tall rugs are also an obstacle for Roomba and it may not be able to climb on them. Roomba has scheduling ability and the newer models can be even remotely controlled. It also docks itself to the charging station but does not return to finish its cleaning afterwards. We never used the scheduling or the self-docking capability. We preferred to clean the robot after each room. The newest models have Hepa filters and better power management software that results in twice as long battery life. We had one battery replaced after 2 years, but our model (650) does not have the battery life prolonging software. Remove clutter. Roomba (and every other cleaning robot) does better job with fewer obstacles on the floor. Clean one room (or area) at a time and clean the robot afterwards. Do not expect to be able to clean a large house with Roomba at once. It is too slow and will need number of recharges. Use Roomba for bedrooms and other isolated areas. Roomba is loud and it is best to keep it working behind closed doors or in remote areas of the house. Roomba cannot be used as a main vacuum for large houses. You will need more than one of them for that. For apartments one Roomba will do it. Roomba does an excellent job on floors with medium amount of dirt. I agree with you about Hoover Linx. I have it for over 2 years now and it still works great. Before it I went through 4 other cordless vacuums and they all were dying after less than a year. I was wondering what is the difference between Mint and Braava robots. Thanks for clarifying.